Veteran journalists and married couple George Rush and Joanna Molloy spent 15 years as gossip columnists at the New York Daily News, earning a reputation as the more upstanding yin to Page Six's take-no-prisoners yang. 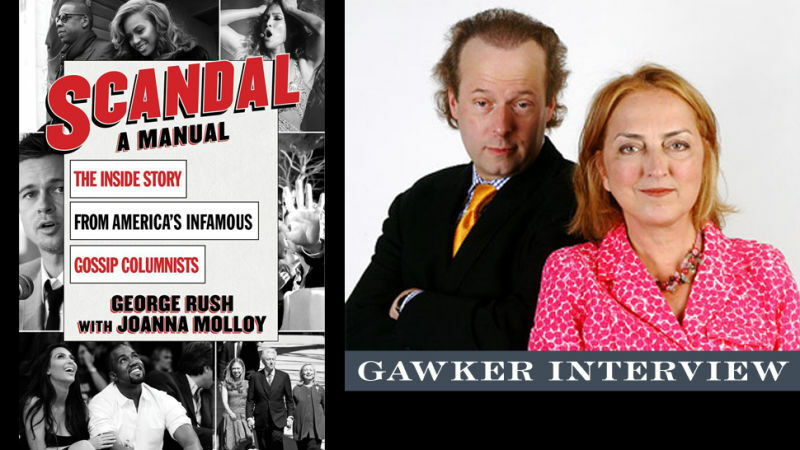 Rush and Molloy will be here at 2 p.m. to discuss their new book, Scandal. Ask them gossipy questions below! The newsroom of the Post was also much more freewheeling than I was used to. No tip was too crazy to check. I got a call one day from a source who said she was at a party in L.A. where Kirstie Alley had shown up with her pet baby possum. My source said, "The possum starts to go squeak, squeak, squeak. Like it was hungry. And Kirstie said, 'Oooh, ooh, baby, baby, mommy's here.' And she turned to a publicist and said, 'Say, aren't you nursing a baby right now?' She wanted the publicist to give the possum some of her milk! They were talking about having the publicist breast-feed the possum. 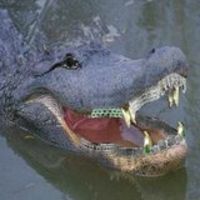 But because the possum already had teeth, the publicist was apparently afraid of doing that. So she expressed her breast milk into a bottle. Kirstie Alley then fed it to the baby possum." I could barely believe the story myself. But I called the publicist. Not only did she admit it, she crowed, "I did it, and you know what? I'm proud of it!" In addition to Kirstie Alley's breastfed possum, Rush and Molloy are walking encyclopedias of tabloids, media gossip, and every celebrity scandal in the past two decades. Ask them your questions below. They'll start answering at 2:00. You can also follow them on Twitter @RushMolloy.